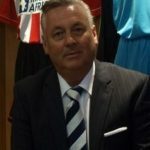 VST Enterprises has appointed the former managing director of Manchester United International to its board of directors. Mike Farnan held the role at United for 3 years and has since worked for Jordan F1 in sponsorship and marketing; been marketing director at Sunderland AFC; and is currently the chief executive of sports marketing agency, Redstrike. Manchester VST is in the final stages of its fifth round of funding at a £30m pre-money valuation. It’s set to open 2 US offices later in the year. Farnan’s role will be to handle expansion into Europe and Asia. “I am absolutely delighted to join the board of VST Enterprises; this is one of the most exciting technological developments that I have come across on my global travels. I believe that this ground breaking technology will have limitless boundaries in how it will affect our daily lives and the way we do business,” he said. “Words can’t express how excited the whole VST Enterprises team is to be welcoming Mike on board. “This year has already proven to be quite the journey for our company, which is still essentially in its start-up phase, as we establish ourselves as a global leader in scanable, secure image technology.